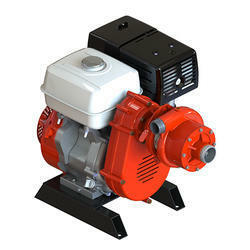 We have a huge range of Fire Pumps Fire Protection Systems that can be used to curb the fire expansion with smoothness. 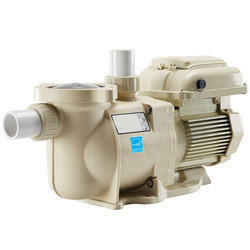 This range includes various pump sets which supply ample water with high pressure to reduce the effect of fire. 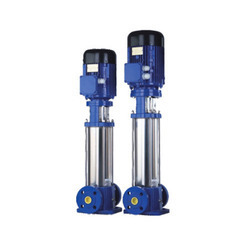 It consists of compact inline vertical jockey pump with controller mounted on a common skid or a separate skid, where controller is FM approved or UL listed. Steel cradle with four handles for easy transportation. Delivery pressure gauge and compound gauge. 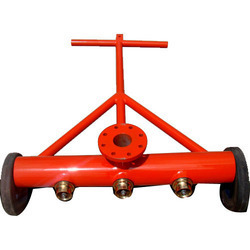 Two-wheel trolley assembly with tyres for easiest transportation. Apollo series 60 & 65 conventional Base. An SS 304 body, it is provided with special swivel joints which ensure easy vertical and horizontal movement, even when under pressure. A simple locking mechanism means that the monitor can be safely left unattended during operation. An ergonomically designed handlebar is provided for effortless movement and targeting. An optional geared option, with an external SS 304 Gear mechanism for vertical movement, and G.M. 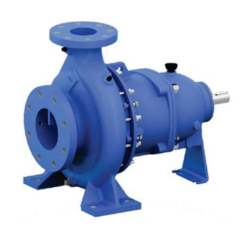 enclosed gear mechanism for horizontal movement can be provided, especially where higher flows are required can be fitted with a choice of monitor nozzles such as Jet, Jet/Spray, Super Stream, Water Foam nozzles or Foam Barrels. Weight : Approx 24 Kgs. Maneuverability : 360 degrees in horizontal plane +85 to -15 degrees in vertical plane. 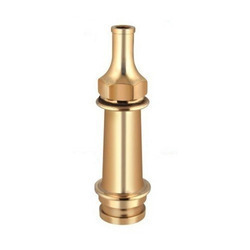 Solid Branch Pipe with Nozzle is commonly used in most fire brigades as the basic fire fighting nozzle. This can be fitted with a choice of nozzles suitable to flow and operational requirements. Test: Hydrostatic Pressure for Body : 21kgf / cm2.